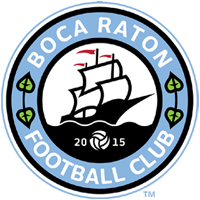 Boca Raton FC continued its winning ways on Sunday afternoon as they defeated Miami Nacional 5-0 at North Miami Stadium. With less than 10 minutes into the game, Gabe Taboda took a shot on goal which was defended by the Nacional goalkeeper but Taboda was able to grab the rebound and give Boca the early 1-0 lead. Gio DiMauro doubled Boca Raton’s lead right before the half. At the start of the second half, Boca Raton was outplayed by Miami Nacional however key saves by keeper Derick Santos kept Boca’s clean sheet going as it motivated the club to continue the attack. Jason Fitzgerald scored Boca’s third goal of the game after he stole the ball from the defender, and shot a laser on goal. Taboda added his second of the game on an Olympic-style goal in the 63rd minute. Lorenzo Cava closed out the scoring for Boca Raton after a pass from Bruno Militz found the streaking Cava down the line. Cava dribbled the keeper, and had no problem tapping the ball in the goal to give Boca Raton the 5-nil scoreline. With the win, Boca Raton now sits in second place in the American Premier Soccer League standings. Boca now travels to Dade Christian School on Saturday, June 27 to take on 3rd-place Red Force.